Photo courtesy of Women Cross DMZ. 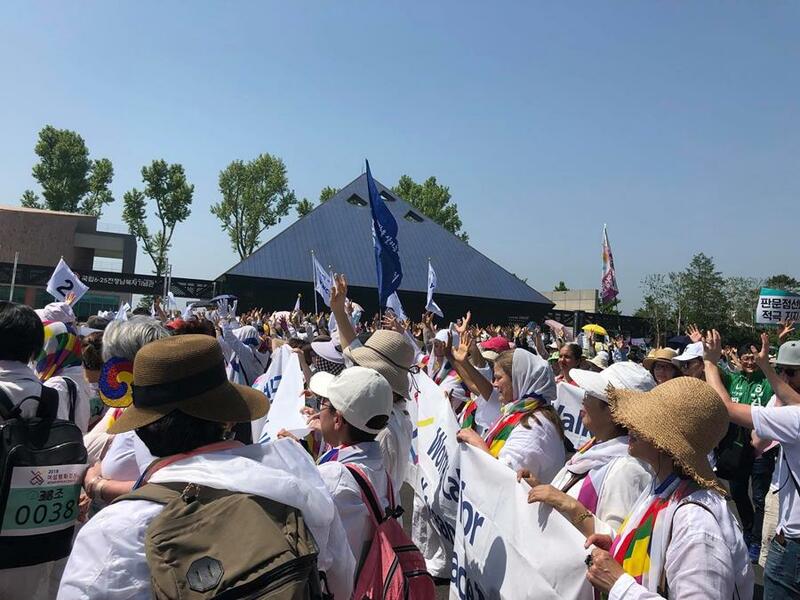 Our delegation of 30 women security experts and feminist peace activists from around the world participated in the second historic DMZ Peace Walk today in Paju, South Korea. 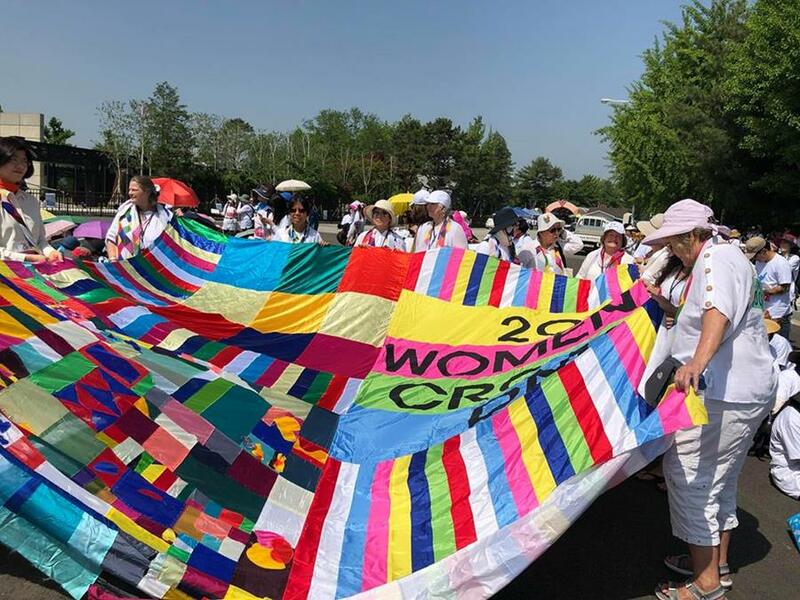 They marched alongside 1,200 South Korean women mobilizing for a peaceful resolution to the Korean conflict. Read coverage of the delegation at Truthout and Common Dreams. Watch amazing live stream footage of the DMZ Peace Walk on Women Cross DMZ’s Facebook page.